Eating Greek food is one of the main reasons I travel to Greece, and I have been in Naxos long enough to tell you about the best restaurants to eat at in Naxos! I should add that there are even some excellent non-Greek choices for restaurants in Naxos as well. Oasis is a family run restaurant in Naxos. The restaurant is located in Naxos Town near Saint George’s beach. All of the food is homemade. Specials are offered every day and vary depending on the day of the week. 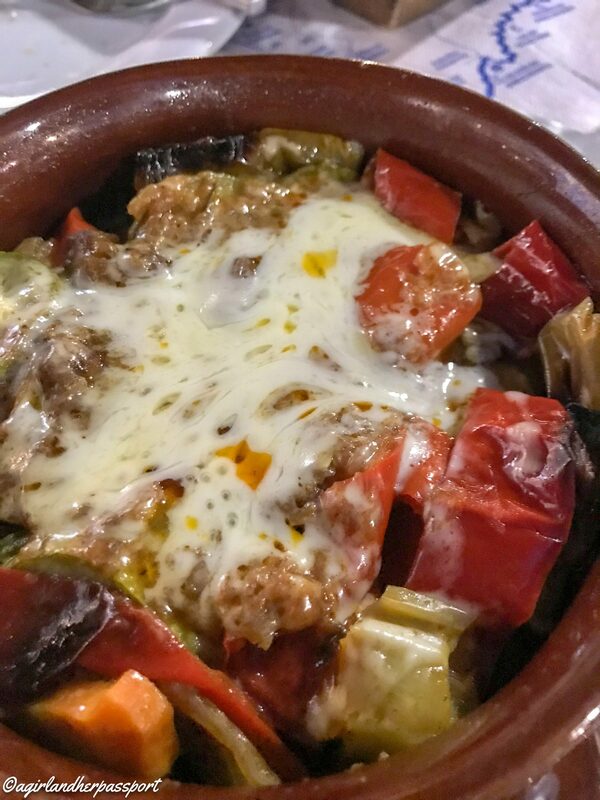 My recommendations are the pasticcio, the stuffed peppers, and the pork stew. Meltemi is located just up the road from Oasis near Saint George’s beach. It has been around for many years, and people continue to return year after year. 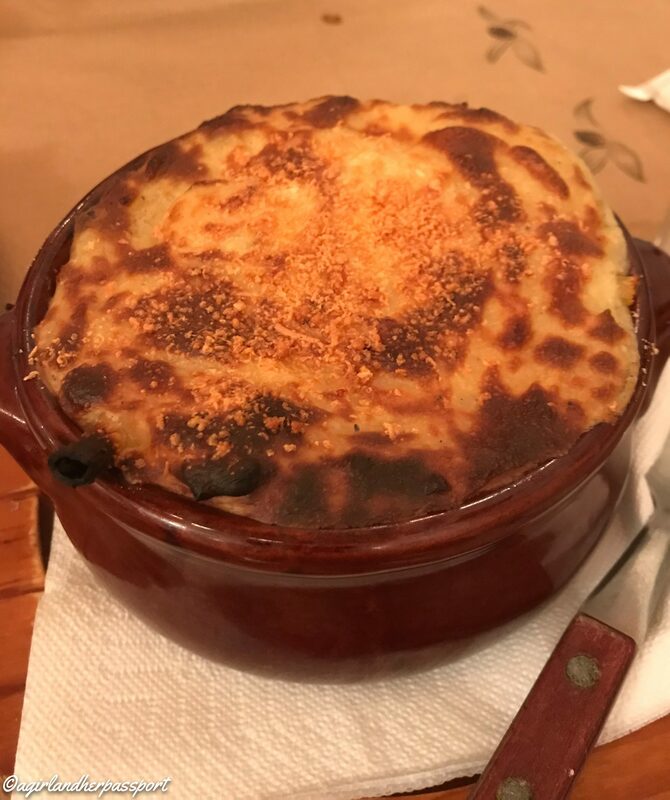 Meltemi’s moussaka is one of my favorites on the island. The dip they serve with bread is excellent. Metaxi Mas is located in the Old Town of Naxos. Here you will eat in the streets of the old town if you want or sit inside in one of the cozy interiors. Everything I have eaten here has been amazing. My favorites are the zucchini balls, pasticcio, and the spicy meatballs. Not all of the best restaurants in Naxos are located in Naxos Town. Faros is located at Agia Anna beach and features organic dishes. It also offers a great view of the beach. 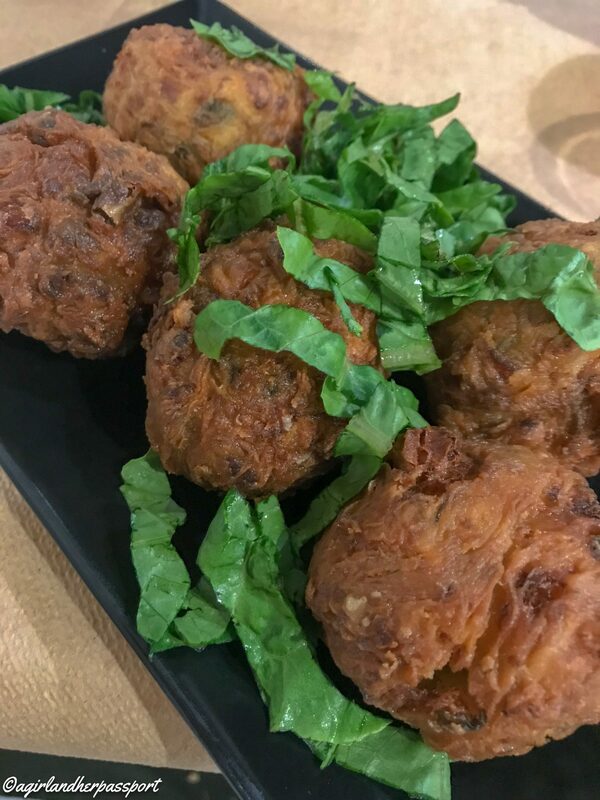 Faros also has some of the best zucchini balls on the island. To get to Faros, take the bus from Naxos Old Town to Agia Anna and walk down past the pier and it will be on your left. Picasso is also on the beach as you may have guessed. Picasso is a Mexican restaurant, and as a Texan, I am always critical of Mexican food. However, Picasso does a good job given their limited access to Mexican ingredients. The fajitas were good, and they serve a frozen strawberry after dinner drink. Picasso on the Beach is located at Plaka beach and is reachable by bus. Tell the bus driver you want to get off at Picasso. Most people stop to eat at Paradiso because of the stunning view its beachside tables offer at Agia Anna. However, you should also stop because the food is outstanding! The beetroot salad and the papoutsakia (eggplant with minced meat) were terrific. So was the semolina cake we were offered on the house. If you really like the location, they also have rooms for rent. If you need a break from the Greek food, then I recommend Scirocco for Italian food. My favorite there is the carbonara. They also serve Greek food if you and your friends are undecided! 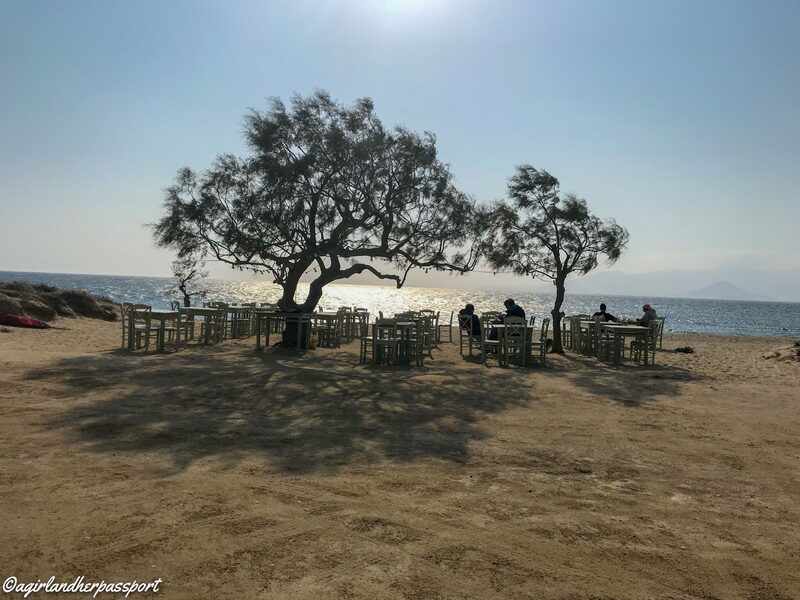 It is a nice place to people watch as it is located in the main square of Naxos Town and many Greek families gather there in the evening to socialize. 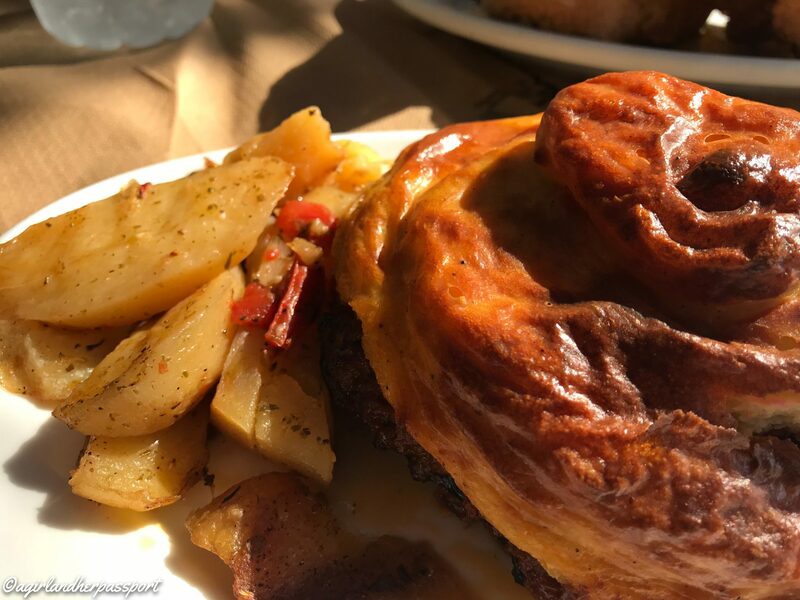 Apostolis is a modern Greek restaurant serving classic Greek dishes with a twist. 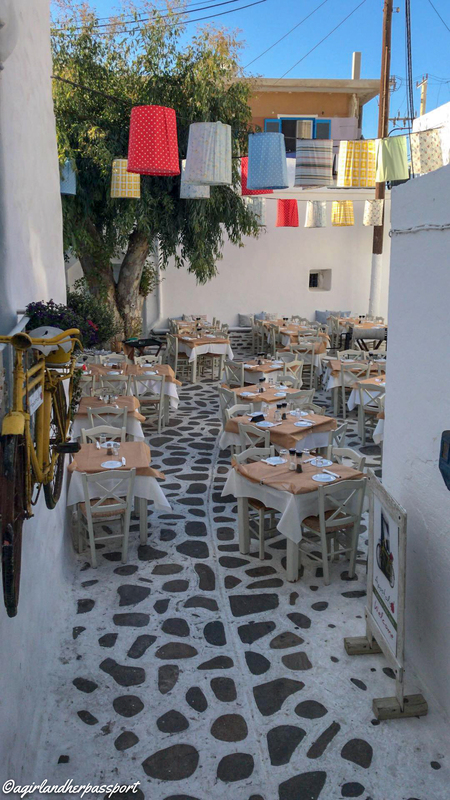 The restaurant is located in the Naxos Chora and has a wonderful setting under paper lanterns. Sue Giu, also known as Susanna, is another Italian option. It is located right on the promenade of Naxos harbor. 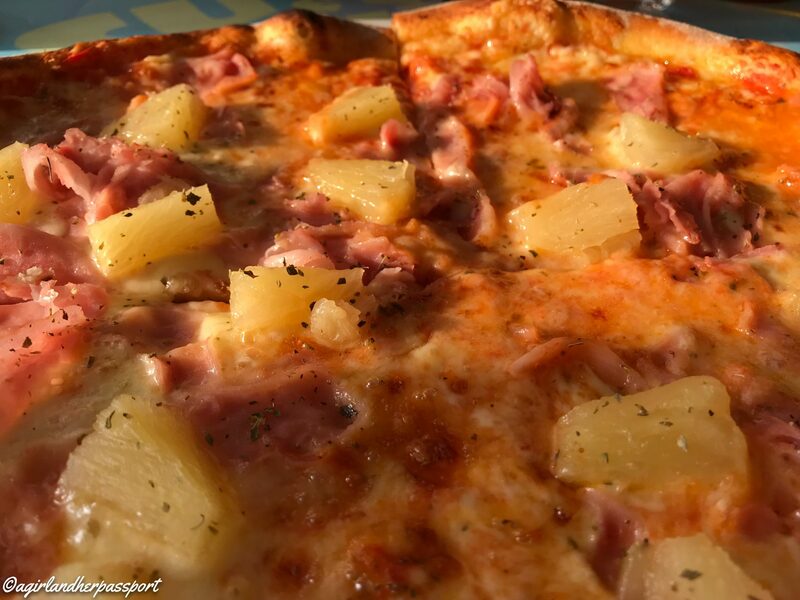 It was the only place I found a pizza with pineapple on it! Yes, I am a pineapple on pizza lover. It was good, and the focaccia bread was really great. Sit upstairs for views of the harbor. 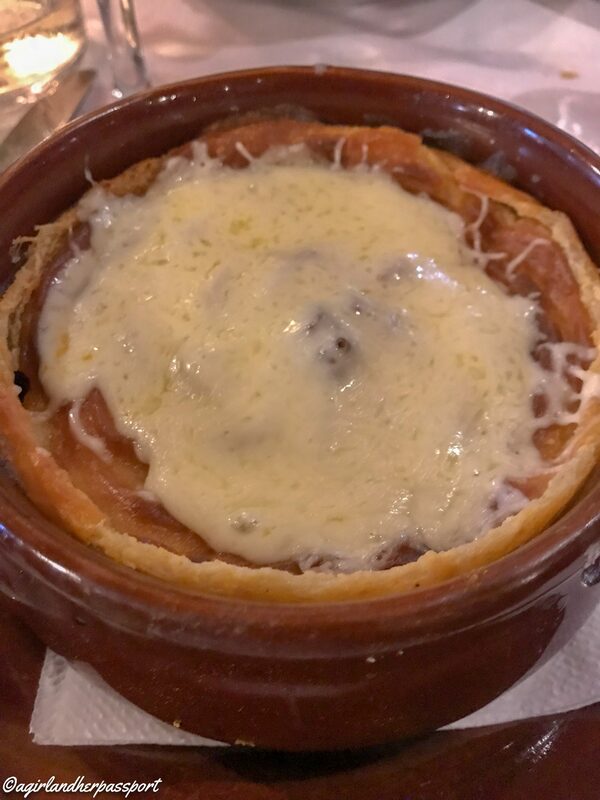 For the more adventurous type, head to the village of Melanes and eat at O Giorgis. I had some of the best food in Naxos here. The baked eggplant was so well seasoned and melted in my mouth. I was so full but still managed to finish the whole thing. Sit on the enclosed patio so you can have a wonderful view of the valley. Greece is known for good coffee, and Naxos is no exception. 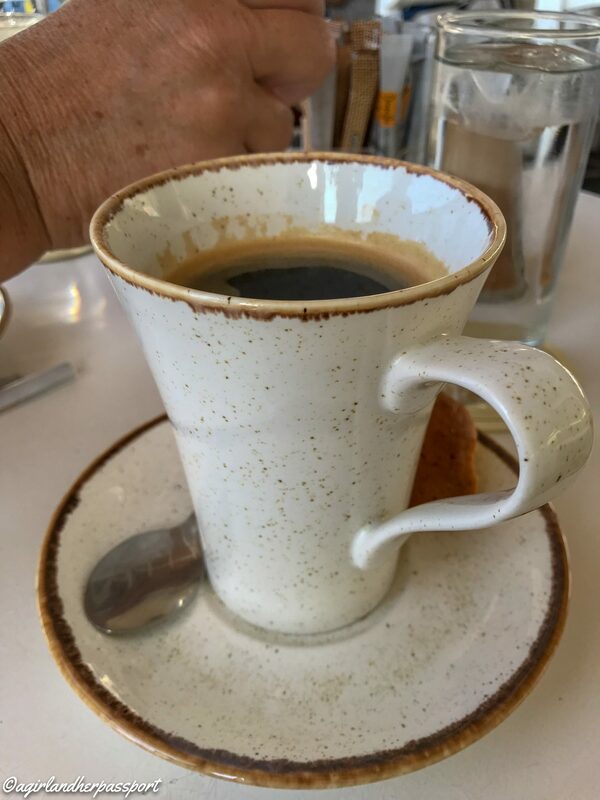 I have spent lots of time having coffee in Naxos to see which places serve the best coffee and desserts. This coffee shop and bakery was one of the first places I tried when I arrived in Naxos. I was up very early due to my jet lag and they were already open by 6:30 AM. The coffee is probably the best on the island. The baked goods are freshly made in the shop and it smells heavenly. Not only does this place have wonderful coffee but they also have some organic products available as well. If I am correct, the bakery is called Wheat in English. It is also open early for those of you who are morning people. Omerta is located on the promenade of Naxos Town and offers great views of the harbor along with great coffee. If you also want to have the classic Greek Yogurt for breakfast this place had an excellent one with plums and peaches on top! This is not the American Waffle House, this is a wonderful ice cream parlor that also serves ice cream on waffles. You can get the ice cream to go or you can sit and have it brought to you by a waiter. 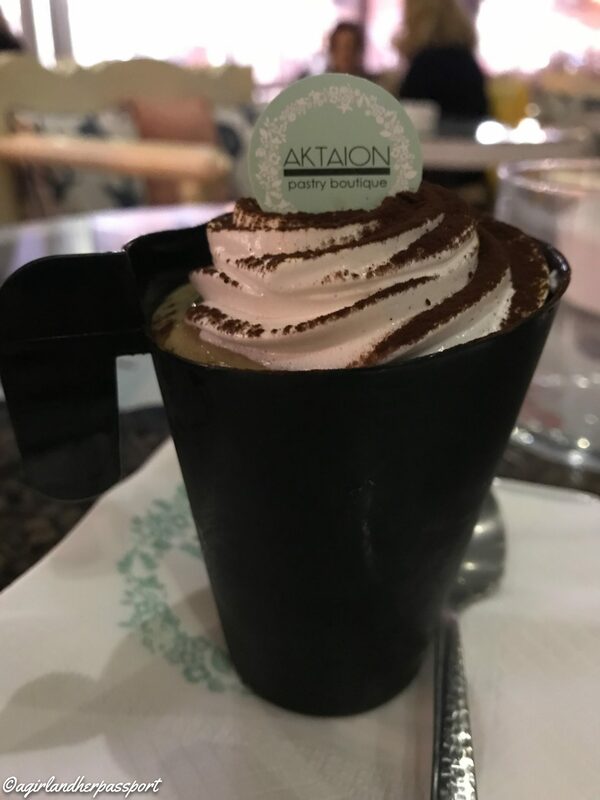 Aktaion is an upscale pastry shop located on the promenade of Naxos Town. 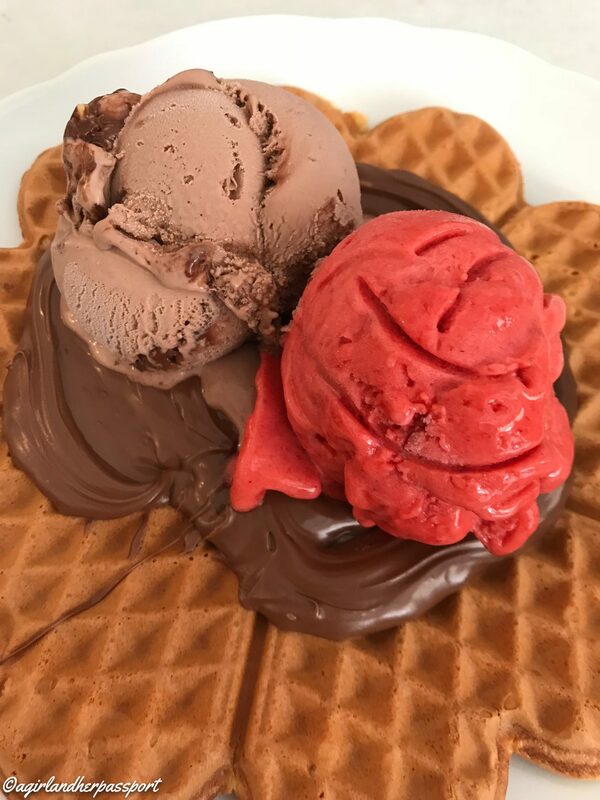 They serve a selection of gelato, amazing macaroons and other mouth-watering desserts. 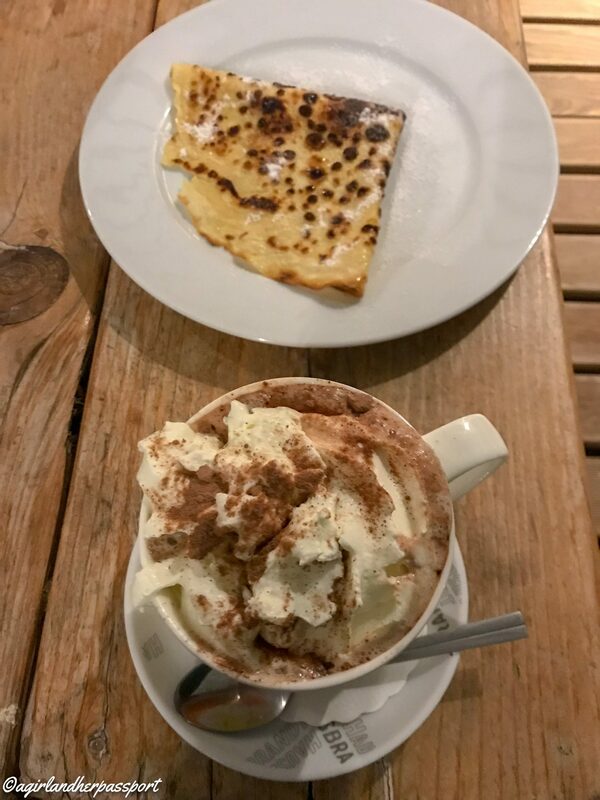 Flisvos is located on St. George’s Beach so not only do you get a beach front view but they serve a really amazing hot chocolate. It isn’t on the menu, but they will serve you one if you ask. This gem is located on the promenade as well and has a great coffee. They also serve the best Freddo Espresso I have had in Greece. Kitron also serves Kitron cocktails made from the citron plant. 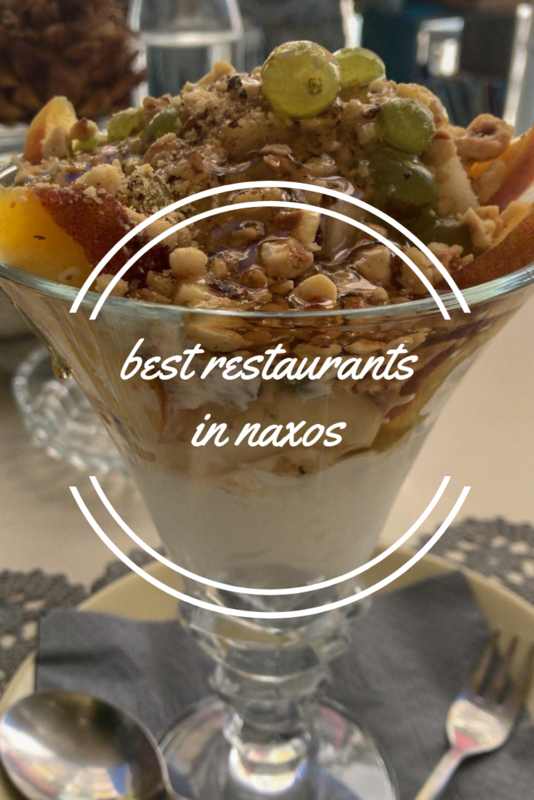 Are you ready to eat at the best restaurants in Naxos now? Tiffany, these all sound amazing! Considering Naxos for a holiday next year so have pinned this for future reference! Oh you will love it here. Did you see the post about the beaches and the old town? Editing the photos made me hungry all over again!! Great. Now I’m hungry and I need to plan a trip!!! Haha! It’s a great place to visit. Nice view and so many mouth watering foods!! Lucky you always on the go. Hi Tiffany, Thanks for the insight!